I did it all for the mookie, cmon, the mookie, cmon, so you can take that cookie…and stick it up your…. Annnnnnd I will be blaming that one on sleep deprivation and a teething child. I apologize in advance for that song sticking in your head for the next 24-48 hours. Georgia has even been singing it…all day. Proper, I know. But listen. You come up with a better name for a muffin/cookie hybrid and I will change the name of this sweet treat in a heartbeat. The mookie. Should I patent it? Its brilliant, I believe. The accidental cross between a muffin and a cookie that took place in my kitchen this weekend. My plan was to make a pumpkin cookie. My result was not that. It was a pumpkin mookie. 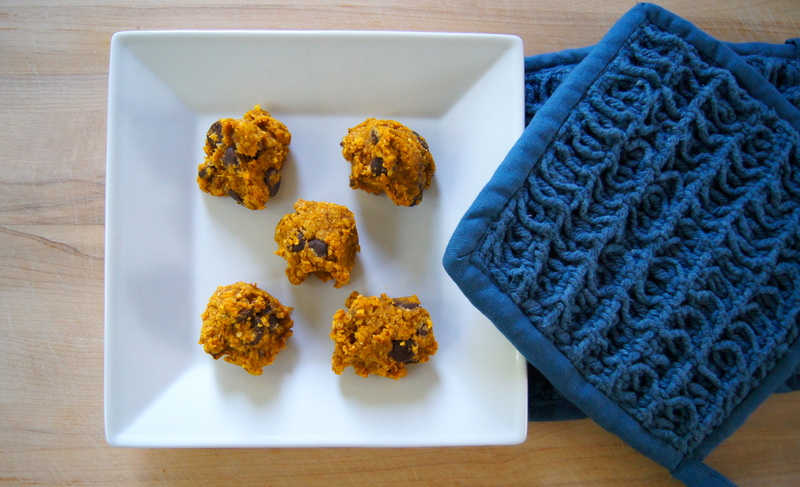 Part pumpkin muffin, part pumpkin cookie. Its got the form and portability of a cookie and the texture of a muffin. Perfectly healthy enough for breakfast on the go for this house and most definitely sweet enough to suffice as dessert. So now that you’ve got that obnoxious Limp Bizkit (yes, I had to google how to spell that…this post is becoming more ridiculous by the minute) song in your head, I highly suggest pairing it with you… dancing around in your kitchen like a bad mo fo while making flamboyant hand gestures and whipping up these accidental goodies. It only seems appropriate, no? As for me? I’ll just go make myself another cup of coffee and hope for the best. Preheat oven to 350. 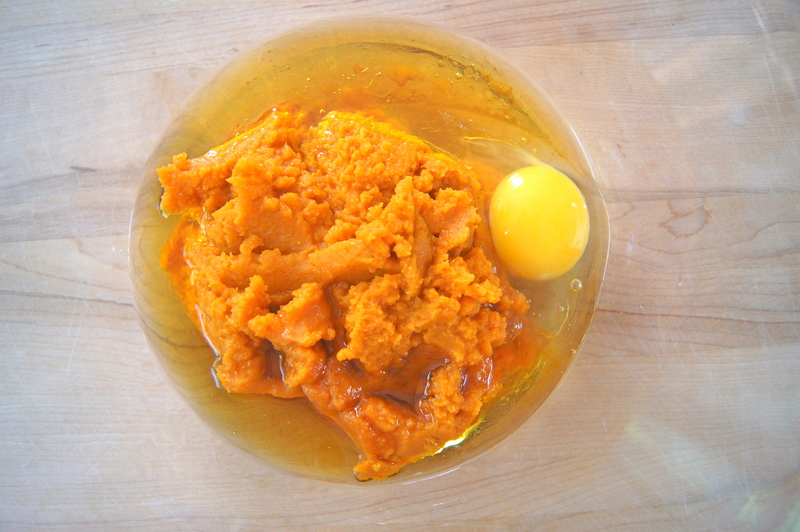 In a large bowl whisk together the pumpkin puree, maple syrup, butter or coconut oil, vanilla and egg; set aside. 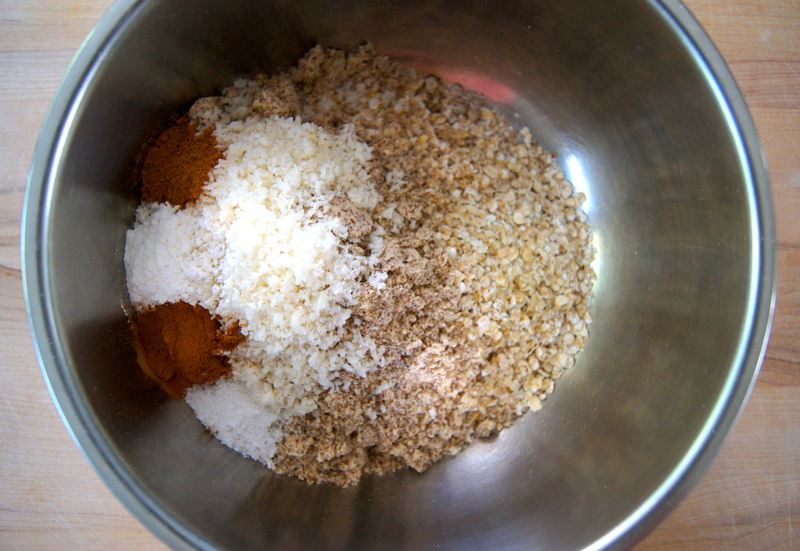 In a medium bowl whisk together the oats, almond meal, coconut, cinnamon, baking powder, salt and nutmeg. 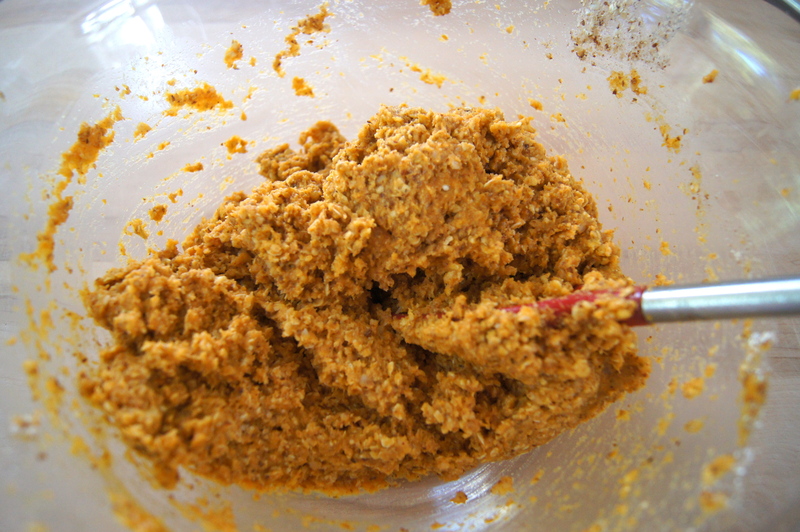 Pour the dry ingredients into the wet and whisk until just combined. Stir in the pecans and chocolate chips, if using. Drop by large spoonfuls (about the size of 2 Tablespoons) onto a baking sheet about an inch apart. Bake for 15 minutes, or until the tops are beginning to brown. You always make me smile. I read your blog as much for the foodie ideas as the stories of your life. They both warm my heart. We had a similar little singing situation coming out of our (nearly) 3 year old here. The local librarian needed a song to go with the “monkey” theme for story time, and she picked Brass Monkey by the Beastie Boys. Apparently Finn is the only little one exposed to that amount of culture at home, none of the others stood and sang along… Enjoy your Christmas and best of everything to you in 2015. Miss you! Oh Finn….I knew I loved you! Thank you for the thoughtful note Angie…I think about you more than you know. Happy 2015 to your adorable family! And PS- did I give you that most beloved red spoon? If I didn’t, don’t tell me. did I miss the temperature?